Posted on July 4, 2017 · A blaster that mixes water and glass beads makes it easier to work on difficult surfaces. 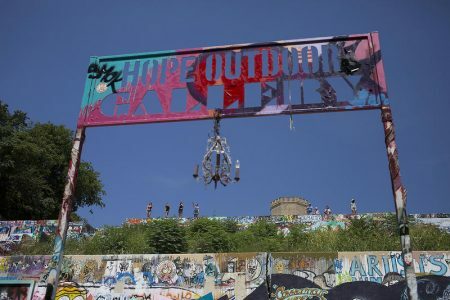 Posted on September 7, 2015 · Graffiti has long been associated with vandalism and gangs, but a group in Houston hopes to change that perception with the opening of a new museum dedicated to fringe art. Posted on December 31, 2009 · It's a problem that just won't go away. Graffiti. 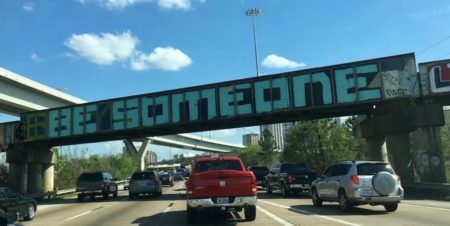 It's gotten so bad that Texas lawmakers recently changed the laws to impose stricter penalties on convicted taggers. 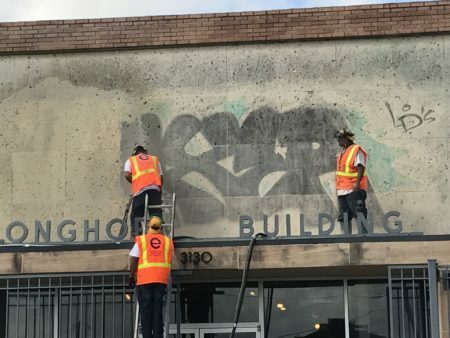 In Houston's East End, businesses pay an extra tax that helps make sure tagger's so called artwork doesn't stay up very long. Bill Stamps explains. Posted on September 9, 2009 · Nine years ago graffiti was a real problem in Houston's East End. Today it is not the problem is was then. As Rod Rice reports, the reason is that the Greater East End Management District began a program an aggressive effort to remove graffiti.